Hi! I’m Mr. Bean. I’m sure you’ve heard a lot about me. I’m that 2 year old chihuahua mix. You’ll never guess what I did today! I finally caught that darn tail of mine and then I slept by the fireplace for the entire afternoon. Needless to say, I’m feeling pretty accomplished. I’m currently living in a home with some felines friends. They make great roommates and playmates. 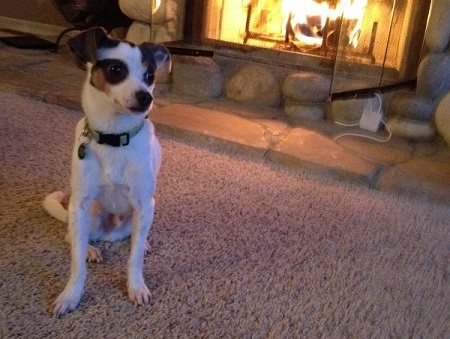 I love to cuddle by the fireside and I love the great outdoors. Let’s go on lots of walks because I’m still working on potty training. I’m getting better though! Do you want to meet me? I would love to meet you. I’m neutered, vaccined and microchipped. Adoption fee $250.